Intensive care patient. 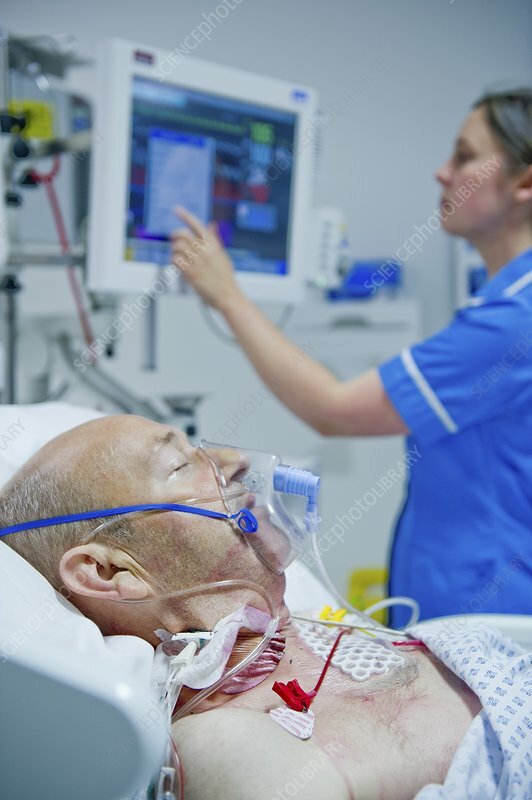 Nurse attending to a male patient in the intensive care unit of a hospital. He is attached to a respirator to help him to breathe. He is also attached to various intravenous drips and vital signs monitors.